Every day, for the last 15 years, rain or shine, UM student Giovany Delgado has been using the Metrorail to get around. With 22 stations throughout Miami-Dade County, the Metrorail is becoming an attractive option for students, faculty and staff at UM looking to save money. Delgado explained that his reasons for riding the Metrorail are heavily involved with the cost and convenience. He is not alone in his decision. According to Miami-Dade Transit (MDT) Public Information Officer Karla Damian, the Metrorail’s College Discount Program, which gives students 50 percent off the original $100 price, makes the Metrorail affordable for students who are usually on a tight budget in an economy that has been severely bruised in the last couple of years. Students have taken advantage of this program, with a reported 675 UM students participating in the College Discount Pass program for the month of July alone. “I take the Metrorail because of the costs to purchase a parking permit on campus,” said Alex Garcia, a UM senior. Garcia has used the Metrorail for the past two years, while his car stays parked at his house. For the 2011-12 academic year, an annual commuter permit may cost students as much as $444, while discount commuter permits, which translates to a limited amount of parking to choose from, is offered at a fixed rate of $226. 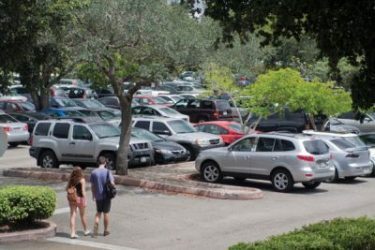 Faculty parking rates can reach even higher, with the most expensive being $1,074 for reserved parking. For some, the option of taking the Metrorail is an attractive option solely due to the low price. Others, such as political science professor Joseph Parent, take the environment into consideration. Parent has used the Metrorail for the last three years. “My wife and I understand the importance of reducing carbon foot prints,” Parent replied. However, he stresses that cost and convenience are his primary reasons for taking the Metrorail. Much like the College Discount Pass program, MDT offers a Corporate Discount program, which allows companies, government agencies, and non-profit agencies to receive group discounts and pre-tax savings. A total of 2,773 UM staff and faculty is registered under the Corporate Discount program for the year. 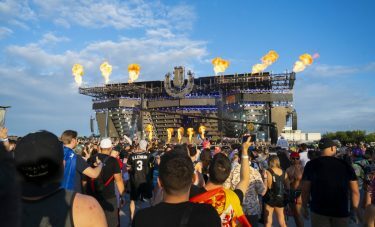 “Miami-Dade Transit encourages people to use the Metrorail because of the cheap prices and environmental benefits that come with its use,” Damian said. MDT has created two environmentally geared campaigns called the Joint Development Projects. According to Damian, the projects mission involves a collaboration of MDT and the county commission to build housing close to the Metrorail line. With the option of housing close to a Metrorail line, people would have the option of taking the Metrorail versus depending on their cars. Housing that is close to the Metrorail line could be an appealing option to lure more students to use the Metrorail, while accomplishing MDT and the county commission’s original goal, to reduce resident’s dependency on vehicles, thus reaping the environmental benefits of public transportation. For many, however, the main appeal of the Metrorail is convenience and not its environmental benefits. “There are no environmental reasons behind why I take the Metrorail, in fact, I’ve never really thought about it,” said Delgado.